Glengarry Glen Ross, a play by David Mamet, is the story of real-estate agents in Chicago set in the ’80s, that questions “what it really means to be a man” in capitalist America. The twist? Classic Chic Productions brings this masculinity-driven play to the Beaumont Stage with an all-female cast playing their characters as men. With their slogan, “Chicks bringing class to the classics. ‘Cause why should the boys have all the fun?”, Classic Chic is a local production company with the goal of allowing female actors to explore all roles and shows, regardless of their gender. This presents a unique opportunity for women in theatre in Vancouver to step into roles that might otherwise never be added to their resume because of gender restriction. If you’re unfamiliar with Mamet’s work, the text of his scripts are incredibly wordy, dense and are meant to fly by at an almost untraceable pace. Classic Chic’s production of Glengarry Glen Ross keeps to this value and the actors take the challenge of Mamet’s script with not only boldness but grace. The flurry of words, short sentences and expletives rolled off their tongues with ease, tension was essentially non-existent. There wasn’t a moment where the stage wasn’t thick with words, sometimes multiple conversations happening at once. Yet, this was always intentional, the cast navigated Mamet’s script with skill and brashness. While every fifth word is explicit, the audience’s ear quickly becomes accustomed to this new language. The rhythm of speech was at first startling, true to Mamet’s style with choppy sentences and using swear words as punctuation. The show took off swiftly with Levene (Colleen Winton) and Williamson (Marci T. House) in a scene that set the pace of the show: brash, choppy and chock full of words. The entire first act was compromised of two person scenes. This might have affected the pace slightly, with some moments living up to Mamet’s standard and others falling a little short as pauses occurred. The second act was longer but whizzed by as the pace picked up immensely. Whether this was because the actors were more on top of their cues or because the scenes were comprised of more than just two people was unclear but the second act was performed in a much more Mamet style. 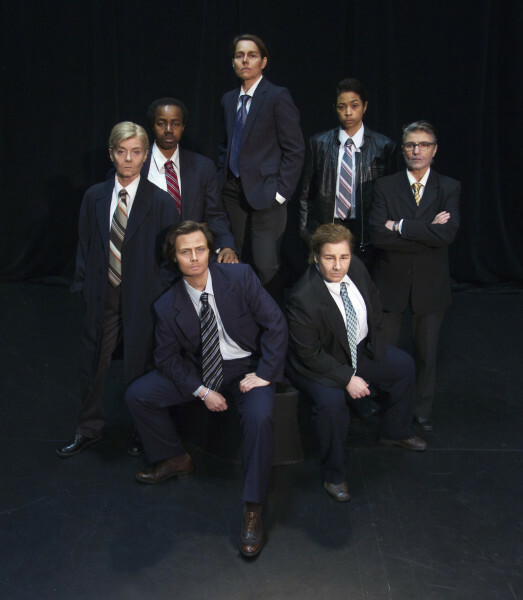 This production of Glengarry Glen Ross is the inaugural production at the new Beaumont Stage. The space, despite being a bit rough around the edges due to a last minute need for a quick opening, was a perfect setting for this show. The blackbox theatre was set up in an alley format, with the audience on both sides of the stage, which instantly immersed them in the action of the play. Due to the close proximity, it was incredibly intimate, so much that the audience was almost part of the set and in the room with the characters. This production not only blurs the lines of gender, it begs the question whether gender really exists when it comes to the stage. 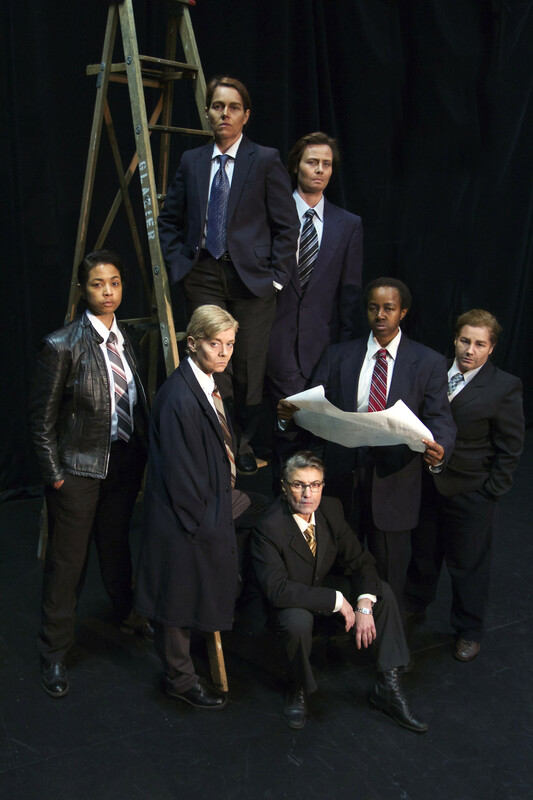 Classic Chic challenges the rules of gender when it comes to casting but by choosing Glengarry Glen Ross, an incredibly misogynistic play that barely touches on the subject of women at all, what are they trying to prove? Granted, putting women in drag and having them perform the characters just as boldly as men could was impressive, especially as the stage is full of talent, but the question still remains: why? Why this show? Over the two hours that the show lasts, the actors occupy the stage and perform the play with outrageous talent and dedication but in doing so, they’re doing the play exactly as it was intended to be performed. This cast of amazing female actors don male drag to step into these iconic roles of Mamet’s American classic and pull it off brilliantly, but what is the audience mean to walk away with? If the point was simply to comment on the fact that female actors can occupy ‘male roles,’ then Classic Chic definitely succeeded in their goal. But if there was something else about gender to be proven, it was lost amongst Mamet’s flurry of words and technical script. Classic Chic hits the mark by producing an amazing show, full of talented actors, and for providing the opportunity for female actors to play roles that they might otherwise never get to play. While audiences should be aware of explicit language present in the show, this all-female production of Glengarry Glen Ross isn’t to be missed. 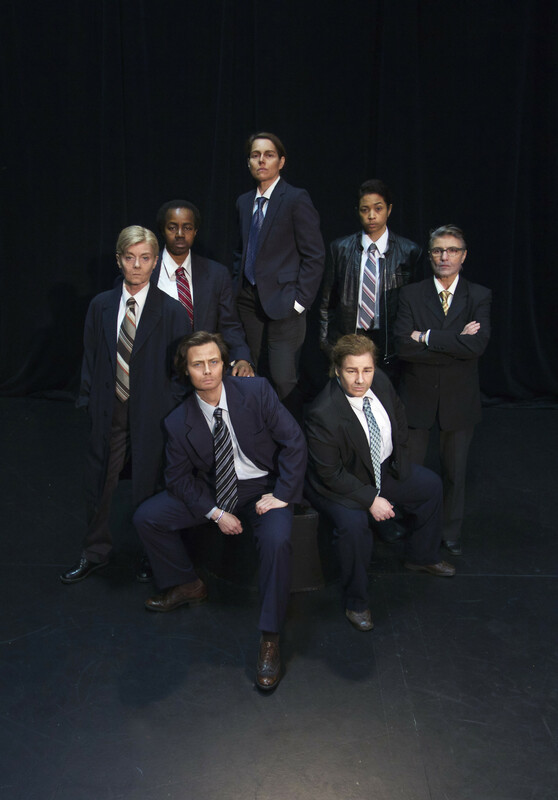 Glengarry Glen Ross plays at the Beaumont Stage (326 West 5th Ave, Vancouver) until June 27. Tickets are $25.00 at the door and $23.00 + service fee on Tickets Tonight.